Huawei Technologies Company Nigeria Limited has donated a information communication and technology laboratory to Nigeria. The ICT lab reportedly is reportedly worth $1m. The lab was constructed at the the Digital Bridge Institute, an ICT organisation established by the Nigeria Communications Commission in 2004 to offer training to entrepreneurs, promote research and enhance technology policy development. The laboratory, which is equipped with optical fibre nodes, wireless radio access nodes and next-generation core switching network, was recently launched by the DBI. in Abuja and the facility was. Speaking at the event, the Chairman, Governing Board, DBI, Titi Omo-Ettu, said, “This laboratory represents a leap in the efforts of the institute to provide qualitative hands-on practical telecommunications and ICT training in line with its core mandate of building functional skills. 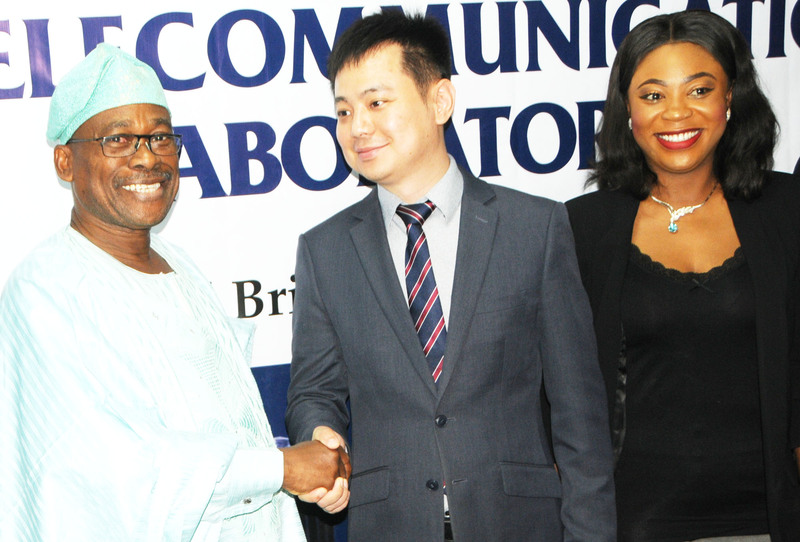 Also speaking, the Administrator, DBI, Ike Adinde, noted that the laboratory started in July 2018 with the donation of a complement of telecommunications equipment by Huawei Technologies to the DBI. “This was followed with the installation of the equipment at DBI headquarters in Abuja by industry experts. We are proud to note that the laboratory is equipped with transmission equipment such as Optical Fiber-SDH, WDM, and Microwave radio), 2G/3G wireless radio access nodes and next-generation core network switching centre which gives a complete end-to-end telecoms scenario. With an estimated worth of around $1m, the laboratory is fully set for learning purposes,” Adinde added. In his contribution, the Deputy Managing Director, Huawei Nigeria, Kelvin Yang Yang, said his firm was committed to seeing high-tech facilities and operations in the world, especially Nigeria.